Milena Žic-Fuchs is Full Professor of Linguistics at the University of Zagreb. 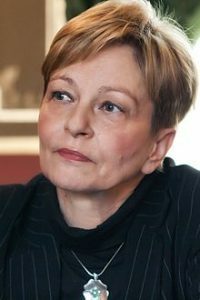 In 2010, she was elected Fellow of the Croatian Academy of Arts and Sciences and in 2013, a member of Academia Europaea. She served as the Croatian Minister of Science and Technology from 1999 to 2000. From 2009 to 2012, she was Chair of the Standing Committee for the Humanities of the European Science Foundation. From 2013 to 2015 she was Chair of the Scientific Review Group for the Humanities of the ESF. During her mandates, she instigated policy incentives for Multi- and Transdisciplinary Research as well as Digital Humanities. From 2012 to 2013, she was member of the EC Expert Group for ESFRI Roadmap, and is at present member of numerous Science Advisory Boards at European level in the domains of SSH and Research Infrastructures. From 2008, she was member of the ERC Advanced Grant Panel SH4 “The Human Mind and Its Complexity” and chaired the Panel from 2014. From November 2016 she is member of the High Level Group on Maximising Impact of EU Research and Innovation Programmes, set up by the European Commission, chaired by Pascal Lamy.